Cities and local governments in Serbia owe the state roughly one billion Euros and are more than 300 million behind in paying matured obligations. The responsibility for the poor state of public finances lies with the local governments; however, the central government has intensified this problem. In 2011, a law was passed which distributes 40 billion dinars from the state budget to local governments, which led to difficulties of the state finances. The latest report by the Fiscal Council, underscores that the financial problems of cities and local governments jeopardize the public finances of the state and hinder economic growth. The analysis shows, that because too much is spent on subsidies and too little on capital expenditure. The Fiscal Council thoroughly analyzed the budgets of the four largest cities in Serbia: The capital city Belgrade has balanced household income and expenditure and pays its debts on time. Only a prerequisite to the financial problems would help to solve the massive public transport problems. 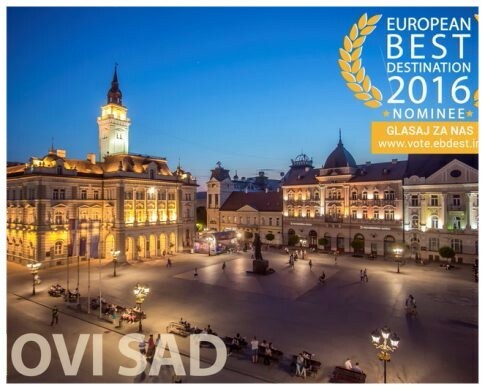 The capital of the Autonomous Province of Vojvodina, Novi Sad, has more stable finances than Belgrade but lacks the money for investment. The city currently has a credible and fairly balanced budget and is paying its obligations on time. The city of Nis is in serious fiscal trouble, but can still get out of it if it is changing its method of managing public finances. Kragujevac is by far in the worst fiscal position, with debts at the end of 2015 that nearly equaled the annual budget. If the Serbian government does not take the necessary steps, the debts of local governments, which currently reach 4 percent of GDP, will force public finances into massive problems, according to the Fiscal Council.